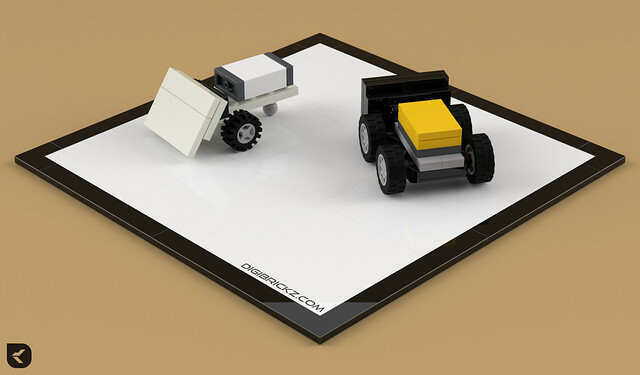 Sumo is a great sport, but what about for robots and in LEGO version? So here’s how it came up. Both of the robots are using blade to push each other off the ring (same as real sumo). I tried to recreate the real life scene into a small version, these robots are actually replicated from real life robots. The NXT robot is the small scale of this mini robot and the RCX robot is a small scale of this RCX robot. Related Posts of "LEGO Mini Sumo Bots: NXT vs. RCX"